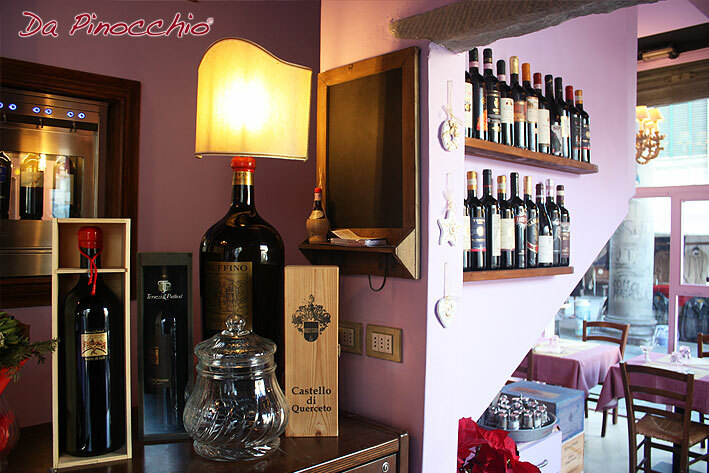 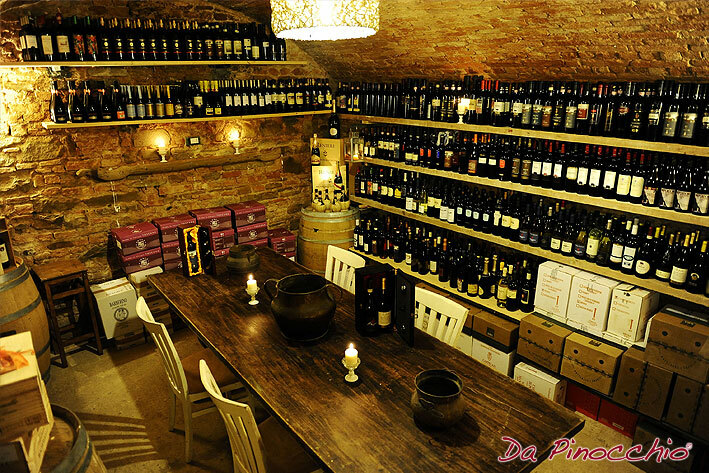 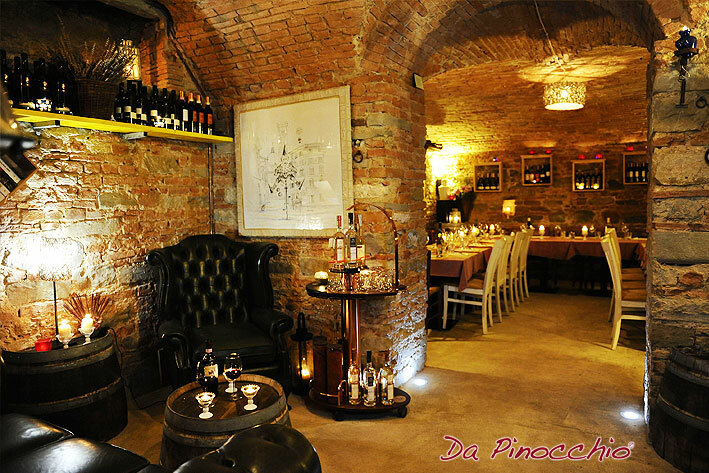 The restaurant Da Pinocchio is located in the heart of the historic center of Florence, in the splendid Piazza San Lorenzo, near the Basilica of San Lorenzo and the lively and charming Florence Central Market. 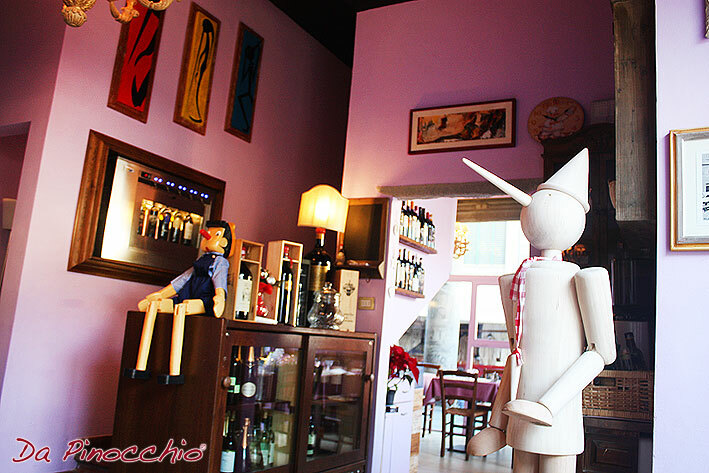 Enter Da Pinocchio and you will find yourselves in a fantastic world, surrounded by many and amusing versions of the most famous puppet in the world. 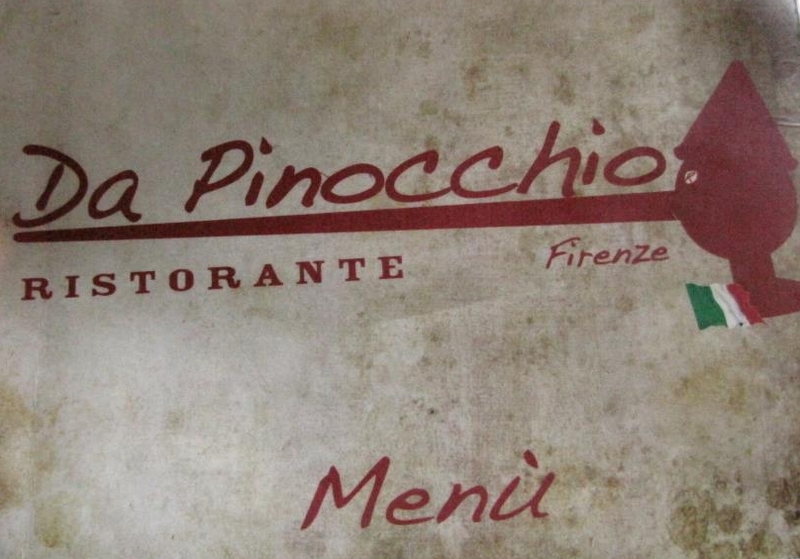 Accompanied by Pinocchio, you will have the opportunity to taste the most authentic flavors of Florence and Tuscany: ribollite (a typical Florentine dish with seasonal vegetables), pappe al pomodoro (a bread and tomato Tuscan dish) and of course the Florentine steak, all served with a selection of extraordinary wines from Tuscany as well as from other Italian regions and France. 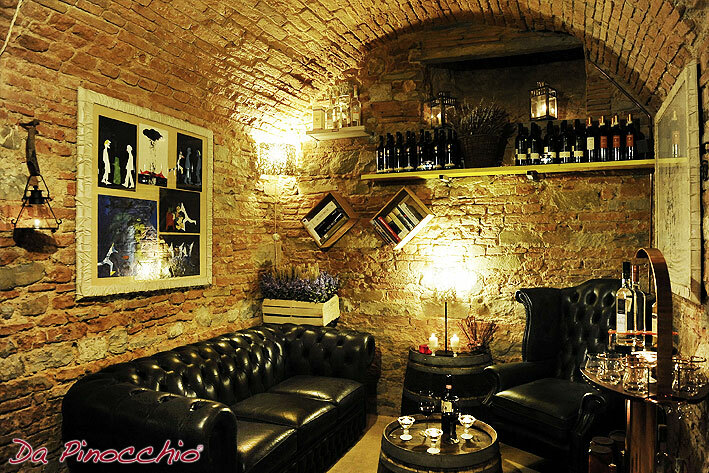 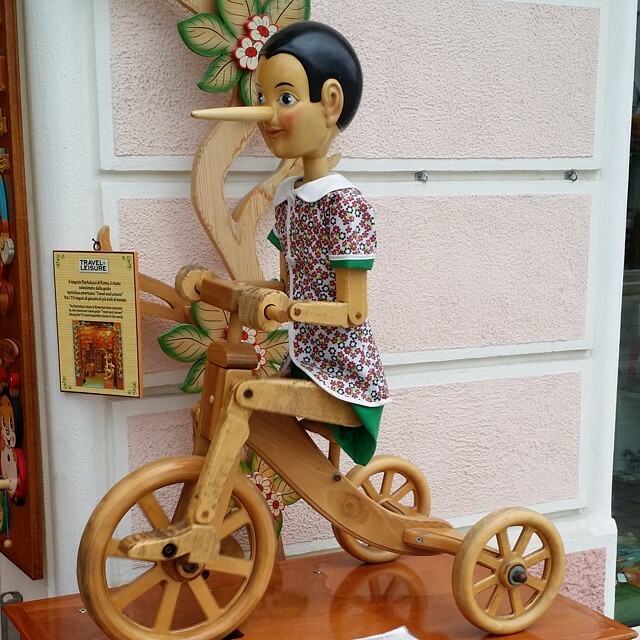 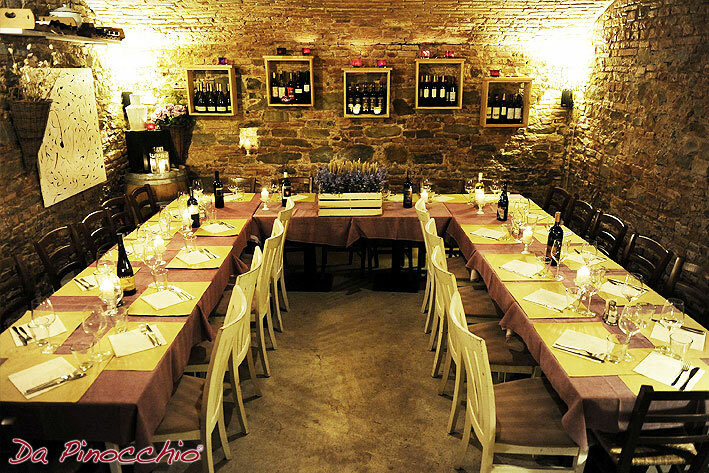 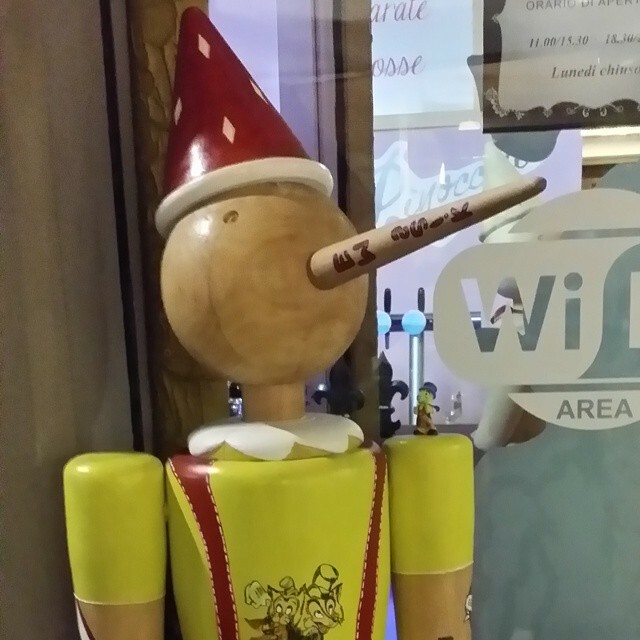 In winter, Da Pinocchio offers themed evenings, original and very tasty not-to-be-missed occasions.